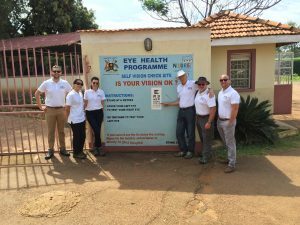 In the first week of September, Arbuthnot’s optometrists Ted and James travelled to the Tororo district of Uganda along with fellow optometrists Marc Drake, Lisa Evans, Ceri Probert, Elaine Yip and GP colleagues Dr Hilary Bugler and Dr Owain Greville. 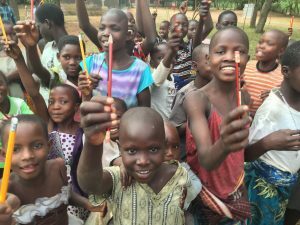 The trip was arranged through the local charity Vale for Africa with the aim to provide eyecare in the rural communities where the medical care we may take for granted is sadly often not available. 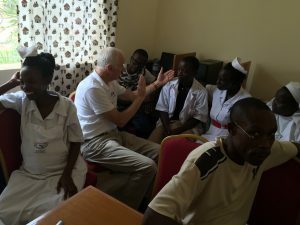 Over the course of the week with the help of their fantastic Ugandan support staff and translators they managed to examine over a thousand patients ranging in ages from three months to over ninety. 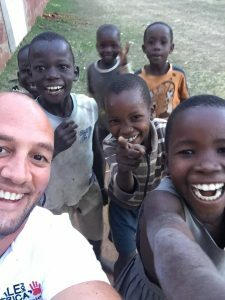 The team diagnosed and arranged cataract surgery for over one hundred patients (a number being young children) which the charity Vale for Africa will fund as well as diagnosing potentially blinding conditions such as glaucoma and trachoma which will now thankfully be treated. 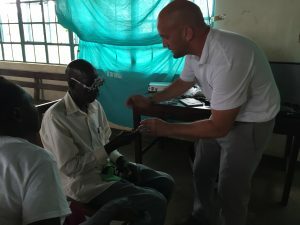 The team prescribed hundreds of pairs of glasses, some of which were carried over from the UK and kindly supplied by local opticians with the majority then being produced at the local Benedictine Eye Hospital. 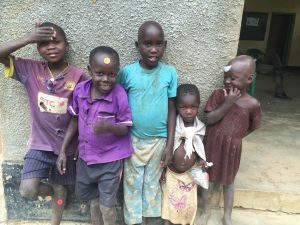 Many patients such as teachers, policeman and tailors were examined that were no longer able to work due to their ‘failing’ eyesight and it was incredibly rewarding for all involved to allow these people to work again and provide for their families with the aid of a simple pair of glasses which we often take for granted. The team also managed to provide training in examining eyes at the District Hospital and Benedictine Eye hospitals in Tororo which will aid the staff to manage certain conditions. All of the team found the visit incredibly rewarding and can’t wait for the next time! Below James making friends with the locals! They distributed many footballs, books and pencils to the local children and their happiness and appreciation was humbling.